Noize - It’s different from other music, it’s not a stable tempo, you can change from low to high, we can rewind it back, we can do everything on the decks! Jungle brings people together it's all about love peace and unity. 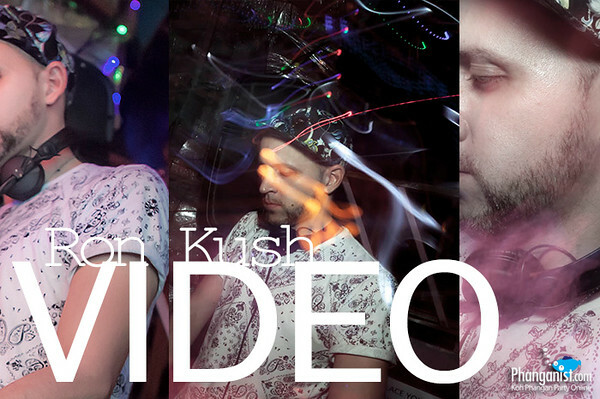 The vibe of Jungle music is different from other genres, a Jungle rave is a proper party for me. My bar is a meeting place of big hearts! The body and mind are connected, this massage is more spiritual not just in the physical sense. At first it was a bit strange as all the people listened to only Thai music, but I love farang songs etc so it was hard for me. I sang for six months at a place called Jamaica, this was the first place I started my career for real and got paid. "I just want to create pictures that make people happy when they look at them and sometimes to spread a message, mostly about looking after Mother Nature"
Owner of Seaboard Bungalows in Thong Sala and Koh Phangan lover!! Stella Bellamy and many other djs have told me about Koh Phangan so I am glad to be here and I look forward to playing at Infinity on the 30th of March. My style has always been very groovy and my influences evolved in time starting with Master at Work then came Chus & Ceballos, Luciano, Loco Dice, Marco Carola and Jamie Jones to name a few. If you are new to Rebirthing, it’s important to have an awareness about the quality and purpose of the sessions. I will provide you happiness and good feelings and give you my best in the aim to live a good moment together. 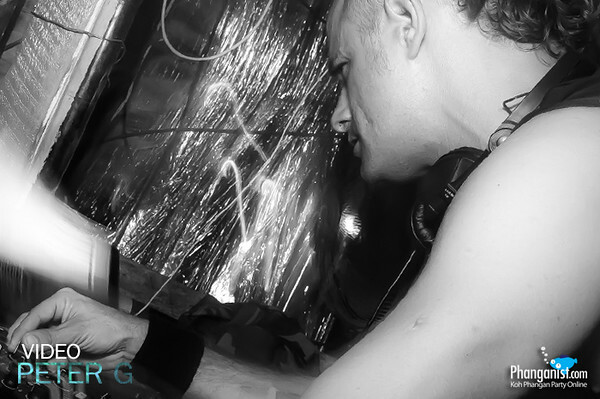 I wanted to calm down a bit with djing and start producing but actually it’s been the contrary as I have many gigs now. Time goes so fast but I'm so happy to be returning to the magic island. 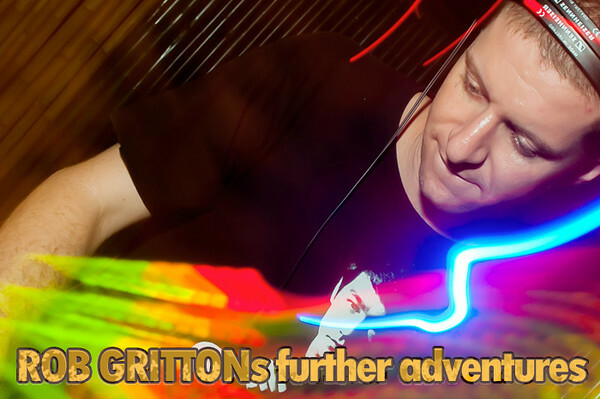 In the past I've often played more progressive but this time I have some great fun House tunes I'm eager to drop. Will be a groovy night! The love between me and the people on all dancefloors in the world. I love it and it´s really the best thing to rock the crowd and see them happy while I’m playing my sets. My inspiration is around myself. It comes from people I know or from movies and songs. I pick them up from my impression and change them to be the raw material for my job. I was always a crazy music lover, spending every day in the record store. One day a friend convinced me to try and I loved it from the first moment! This year I'll try to win the Red Bull Thre3style Dj Championship. Last year I went to the Thailand national final. I will try my best this year and hopefully win the Thailand national then go to the world final in Chile. I feel that we are just hitting our stride after two years with giving the crowd what they want and refining our product. The island sure has a special energy to it and the whole place is beautiful when you venture out sightseeing. It’s an authentic form of Yoga in the sense that they focus on energy flow and chakras which I have not encountered elsewhere since I started practising. It’s tantric. They take elements from various Indian and Tibetan yogic traditions. I dance a lot! Full power non stop. It’s kind of therapy for me, I know about dancing high. I’m sometimes social but I want to concentrate, I think japanese people are more serious about dancing and I love that. To be honest I love smaller more intimate dancefloors where I can see people's faces and smell them (laughs). Playing festivals is also nice but I like to be in touch with the crowd. Well I have played and been to many eclipse festivals during the twenty seven years of Eat Static and they don't get any less exciting to be a part of, anything to do with our universe has me in awe. On the first day of my trip a woman told me ‘You have to go to Koh Phangan. You will go there and teach yoga’. Stay true to yourself, to your taste. Be professional and most importantly, look at the people. Tristate is a project that we started for fun around eight years ago with creative breaks in between. When I was here in 2012 on holiday I found the opportunity, it wasn’t the real plan but it was an emotional choice. Everything was perfect, I sat and spoke with myself and said ‘why not’ and after three days I opened the shop. For me it was not enough just to dance, I wanted to be part of it myself, to be the one who makes people dance and to see this from the dj booth. Nate is a warm, humble guy that in fact has had, and still does have some interesting clients, ‘Most of my clients in Texas are soccer mums, trophy wives and some celebrities. I play Techno music. I love to play with three decks, I play really powerful music so this is why I use three so that the energy never stops, it never breaks. I like that the people are dancing and that they have no minute to rest. Life is a constant process of learning and growing .Do whatever makes you happy, stay healthy and safe. Be light and light will come to you when you need it. On Phangan I try to make something that is adapted to this place, tribal fusion style for dancers in Sri Thanu and also recently I have been making more costumes for parties. Back in the days of cassette tapes I would spend my time recording mix tapes, one day I said to my friend that I wanted to find a way to speed up the songs or slow them down so we found a way to speed up a set. I guess it’s try to be good and do good things. You have to start with yourself, always improving and evaluating yourself or adjusting. When you are healthy inside your eyes are open and the world is a magical place with endless gifts to offer. To bring exactly what was needed to the island - a fresh and dynamic clubbing experience. With SUP Yoga it uses different muscles as the paddle board is moving, you have little waves and have to balance which makes you use the body a bit different than doing standard yoga on land. 2013 was the first year I came, I discovered yoga and was looking for something meaningful as I got burnt out working in the corporate world in a corporate job with long working hours. I had lost all my juice. it’s the sound of nature and also the music played here gives me new vibes as I always hear new stuff. The first thing is all of the products are fresh, it’s a pleasure to work with fresh products. As a kid I played the piano then about ten years ago I went to see an Opera in Iran. I had heard opera on cds etc before, but this was the first time for me to see it live on stage! I loved it! It is no secret that many people travel to the island of Koh Phangan to start a new life. And I am no exception. The speciality is because the sounds and melodies all come from the heart, people prey with these instruments. We improvise a lot of the time and this instrument can be improvised well with lots of other instruments. I’ve always had a very musical family, everyone is very into music. The definitive change for me was a club called ‘Matter’ which is Fabrics sister club but closed in 2010. I was born and grew up in a musical atmosphere, my mum is a piano teacher and my dad used to play a few different instruments, violin as well. It’s a fusion of House and Techno, I am from Detroit but live in Chicago so it’s an amalgamation of those styles. Expect a unique set, lots of own unreleased tracks and edits, constant energy and a special atmosphere. We never plan a set so four decks gives us the space to be creative, and one step ahead. Macrame hand made necklaces, bracelets, armlets. I’m totally dedicated to Goayandi, just like all the members of the band, as we are getting bigger and bigger each season. With Niconé everything looks effortless, and hardly anyone manages to let something complex sound as easy and lively as him. By now it would be an understatement to say he's played a few gigs, or that he's had a few hits. I don’t consider myself as a Dj, I’m a musician, I play piano and guitar. First of all I am a composer. When I was ten I was in a band. 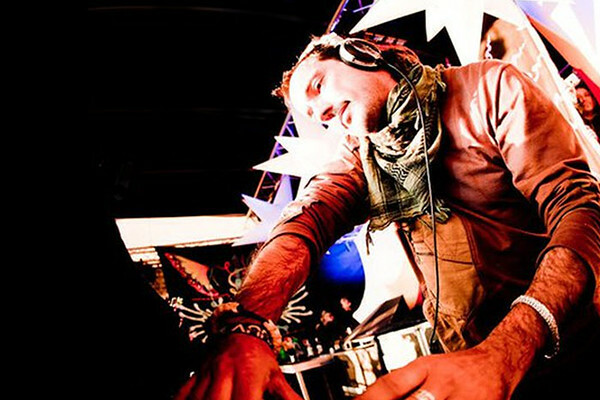 Mirko Loko’s passion for music has led him on an upward trajectory ever since he first started DJing in the late 90s clubs of Lausanne. Kajud is original Koh Phangan, he owns Haad Gruad Beach Bungalows and is also an Interior designer. He was the designer of his own hotel. We tell the tourists how to take care of themselves and tell them if they have any problems then we can always help. We listen and see what we can do. Exciting new sounds for me are definitely the recent popularity of psy bass and psy chill. Stefan who has a history in Fine Art is originally from london. 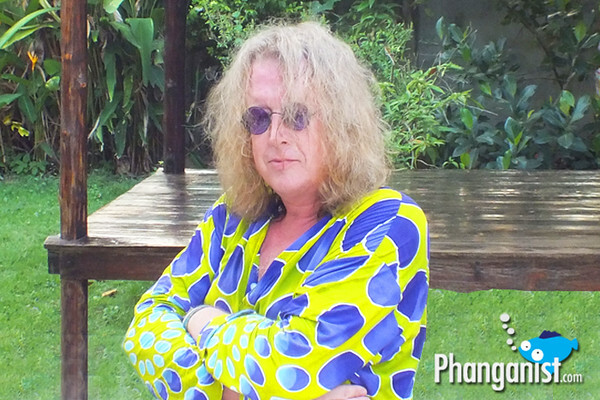 He first came in 2001 and has been living on Koh Phangan permanently since 2003. He has been living in chaloklum for the whole time with his wife Lotta. Beatboxer living and working in Thailand. Andrea left Germany in 1999 to officially live in Thailand and get married here. It is not a kind of dance but a way of dancing. The way u hear and feel the music. The main part is how your attitude is, without this it is like empty gymnastics. Me and my friend used to sneak into his big brothers room and play around with the decks. That was aged ten or eleven. My techniques and DJ styles are basically self-taught plus DVDs and youtube. My inspiration comes from everything around me in life, plus the influence of Alex' and Bon's faces, artists who are my friends and also my teachers. I’m just moving here now, so I am looking for beautiful people, with a special look and when I find people like this plus with the beauty of this island it will make a really good picture. I hope to teach people that nutrition is medicine and that your individual diet is one of the most important things to learn about and take care of. I think that when I got here and I saw many beautiful things that Phangan has more than just a party. I go around the island to look and now think differently to before, I thought it was just parties and many people in Bangkok think this. On Phangan it is very calm, Sabai sabai. We have gardens and nature and I think it is a good island in Thailand. In Samui, Bangkok and Phuket there are many people and it is all the same. I love drawing all of my friends as characters and telling each friends story of that moment through drawing. It becomes a memo without words. Nowadays, the number of people and artists who work in graffiti and street art are on the increase everyday. The new generations are interested in this career and there are many exhibitions and events of graffiti and street art. It’s underground, or it WAS underground! I like the energy in Shiva Moon because the sunlight is really really beautiful on the dance floor in the morning. I studied music and used to play piano when I was young. I started as a Dj in 1999 with vinyl. Vinyl is still my real passion. At the same time, I was a parties organizer. Then, I set up a nightclub in the south of France. The origin of the chicken comes from when I was in college, I had a comic where they compare that school is like a chicken farm. I started graffiti in 2002, the first wall was in my home, my bedroom. I went to all the clubs in Frankfurt near where I lived, it was one of the main spots where Techno kicked off and developed in Germany. As an eighteen, nineteen year old, I would spend the whole weekend in Frankfurt, club after club. I have been hooping for almost two years now. 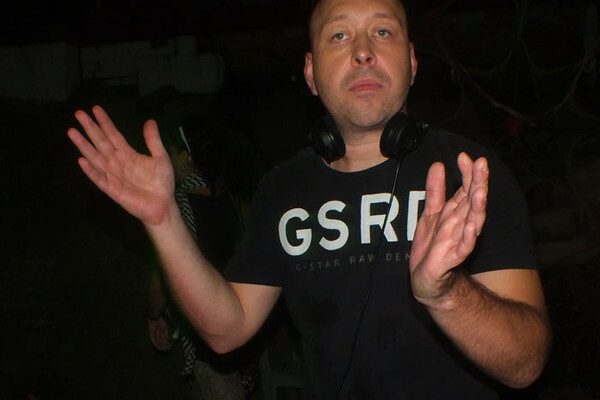 I started last year because my dad is a Dj and he has also been organising parties in France for over twenty years now. So I naturally got into it and my dad taught me how to mix. I LOVE Koh Phangan! This is the only place on earth that has TRUE freedom. When I see life in europe, I don’t want to go back. I love Koh Phangan and any time I am away I always look forward to returning. There is something special here, people need to come and check out the atmosphere and energy of this island. Tattoos are popular in Thailand because it is always summer, and there is a lot of creative people, especially on Phangan. 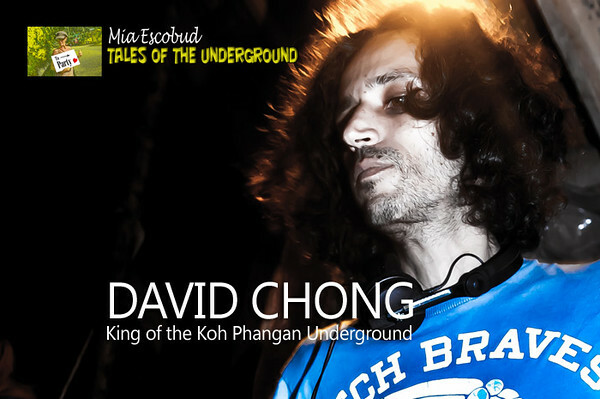 Marco came to Koh Phangan for the first time many years ago but only to visit. He has been on a world trip before this and spent a long time in South America, Caribbean, Philippines, Indonesia and then Thailand. I can modify the yoga to the ability of the student, and make it for everybody. I also bring the therapeutic element. I am trying to synchronise the polarities in nature not only flexibility or strength but the combination between them. I hope we will have all together much fun on the island with jungle and all other occasions. The idea is to give the atmosphere of the island to Moscow as our city doesn’t have this. People in Moscow can forget what is important, they just think of money. This little dude, funny and clever as he is with an open true heart – has been looked up to, looked at, clapped at, jumped at, cheared at, laughed to, laughed with, danced to and danced with and sometimes gossiped about cause anyone could. I don’t make a difference between music styles, for me music must be good and it depends on the situation whether you can play this or that track. You should feel people at first, that is the main thing for artists. On Phangan I love having time so I can do things for myself, making handy things, I love taking my time. I used to live in Paris so it was more of a stressful life, the thing I love here is ‘retour au sources’ return to the source. I started pilates in 2006 when I did my first course back in Argentina with my sister. Then I did pre-natal pilates as well. My sister was doing beautiful henna for years on friends and since I lived in a small tourist town, I was trying to figure out how I could work for myself with a low overhead. It’s not easy to start this because your mind tells you that you shouldn’t be fasting. For the first one or two days your body wants food, but when you past the third day it becomes really easy. Everything around me was only for me, it was like magic. I was working in a small gallery, my boss was the President of association of floristry, she designs and competes and so she taught me. Vera uses a combination of movements that really focus on your thighs, this helps to give you strong inner muscles and promotes the health and rejuvination of the body. Inland Island beachwear is all crotchet, I make all the clothes myself. I studied making fabric and my favourite was weaving, knitting and screen printing which was not actually related to crotchet. It can manage your hotel, booking, checking in and out, all the payments and orders. The cool thing is the software is connected to the main website booking so you don’t have to go to it. Everything is automatic, you gain a huge amount of time! I am an airbrush artist, specializing in body paint, murals and canvasses. I have done a ton of body paint for photo shoots, videos and events. On the island of Koh Phangan, I met a master of jewelry, and for the first time felt a creative power, which I had no idea before. I used to think that creative people are very special. Meet Pae Pae! 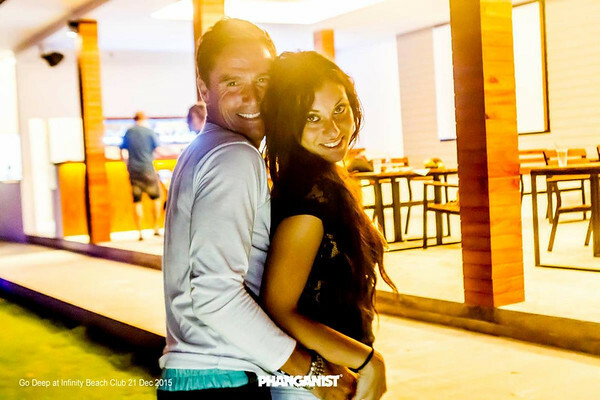 He is the owner of one of the most delightful bars in Koh Phangan. Pae Pae is one of the people who if you meet one time, he will become your friend. Probably for life! Originally from Ireland, a small seaside village, Rob Mcmanus had an uncle who played guitar and taught him a lot of songs. He also had friends in school who were guitar players so he just fell into it. Coral bar is a part of Coral Bay bungalows, this is a family run resort that has been open for over 25 years! There are 30 bungalows, some with the Haad Khom view and some facing Chaloklum bay. 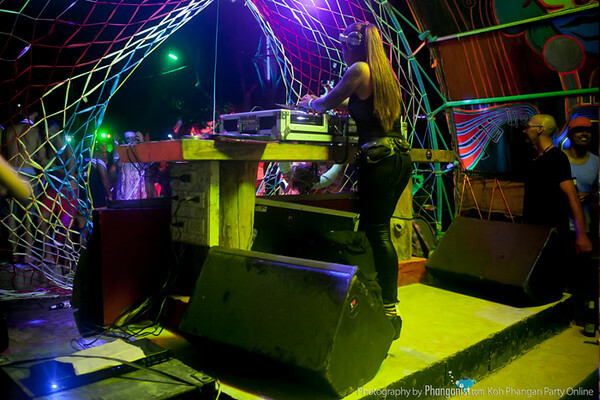 <p>A veteran of electronic dance with over ten years in <a href='/full-moon-party-koh-phangan'>Full Moon</a> parties which can hold up to ten thousand people a month. We are the only ones selling western style meat bbq in a fishing village (Chaloklum). Also it’s a place where lots of locals hang out, we do little parties still but we’re getting old, most of us are in our 40s or 50s Haha. 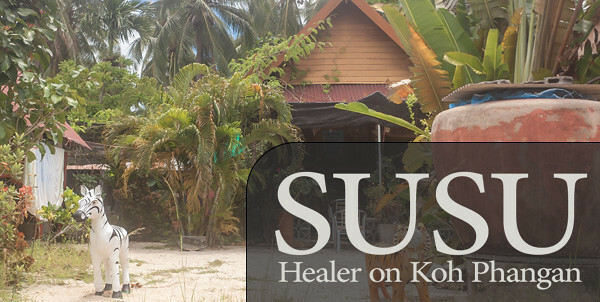 The amazing artists on this island who have managed to make a life for themselves here in Koh Phangan, plus the freedom and lifestyle of living on a tropical island. My recent yoga teacher training and interest in Buddhism inspires me as well. I really like the traditional coconut ice cream but I just wanted to invent a healthier version. I see it like a traditional product of Thailand that wasn’t invented. Stigidam is a song of mine that went viral in israel, the name comes from the sounds of drumming, I am using this name at the moment to describe this type of yoga dance. We have professional waxing, the indian technique of threading, anti cellulite programs, cosmetologist, manicure and pedicure, shellac and many kinds of interesting spa treatments. I'm slowly starting to build a strong identity with my name and my art all around the world (next step will be the art Basel in Miami). Maria fell in love with the lifestyle, music, people and the nature. It’s the place where she could find herself, especially through her dancing. Before I was not interested, it was not my kind of life, I just danced. Then I learnt Bikram yoga and it gave me power and determination. <p>Randy started coming to Koh Phangan three years ago (this visit will be his three year anniversary). 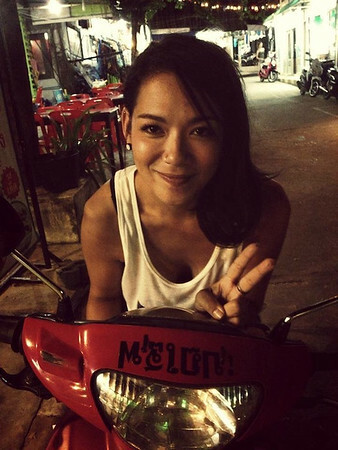 Jonathan discovered Koh Phangan for the first time in 2013. .
Akari is originally from Japan and began to explore spirituality intensively since she traveled Africa by volunteering at different circumstances in 2007. 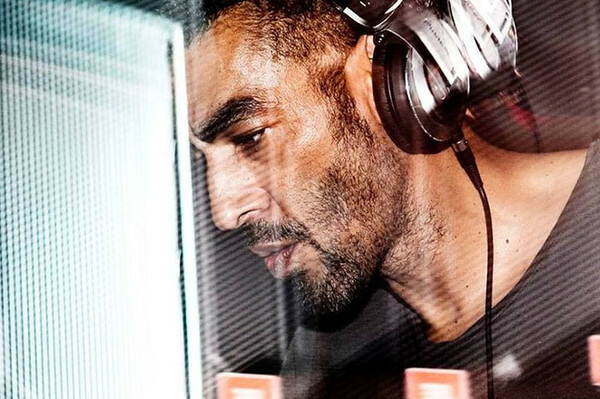 <p><br />As part of the biggest Dance act of the 90’s you will of course all know Leeroy Thornhill. The last event I played in Jungle was in July this year and it was an unbelievably epic and memorable experience. 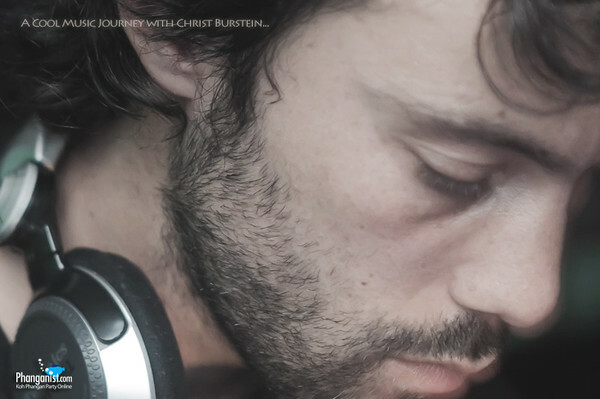 The turning point in his musical career came about because of his longing to do something. 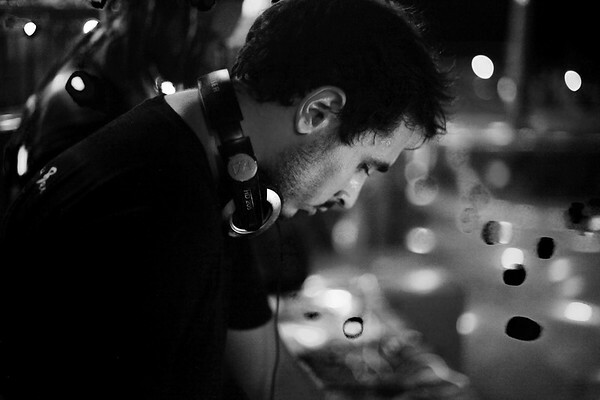 He learned how to produce electronic music of his own, and within a couple of years he achieved the sound he was proud of. My favorite music is the one that causes emotion, like an adventure on an emotional level. During my performances, my focus is always on the Music itself, not on me as a person. 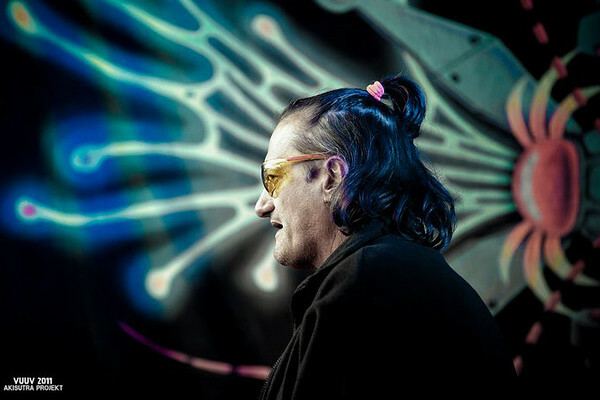 Being a passionate music lover with an addiction for Rock since his early years and falling in love with Psy Trance since the mid nineties. Our Russian Friend Serves a very good Tech House Dish. 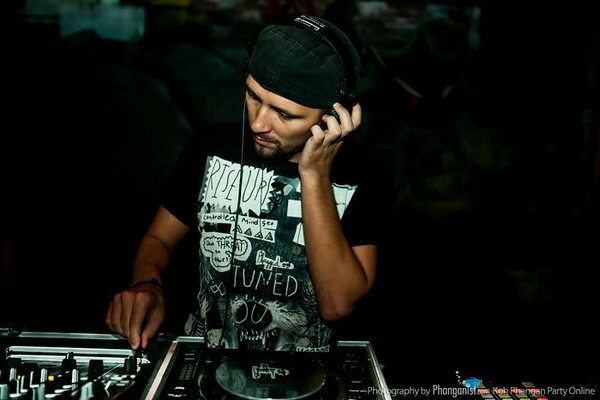 DANNY, DJ APNEA (Belgium) is playing for magic Phangan records and for Mahratta records in Spain. ' 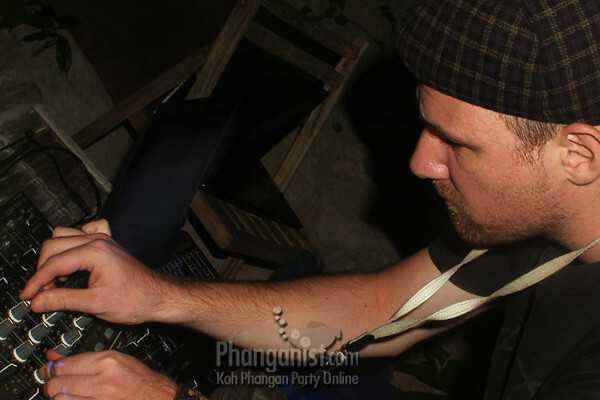 Over the last 6-7 years he has become one of the most popular and busy Djs playing on Phangan. We didn't expect to stay longer than a few days, but we eventually spent the last two weeks of holiday we had left on Koh Phangan.